Well, what are Boat shoes or boatshoes? 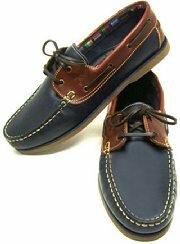 Or is it deck shoes or deckshoes, some say sailing shoes, perhaps marine shoes or even yacht shoes, the list goes on.... Basically its a versatile shoe that offer grip, stability & comfort for deck wear, Over the years its become a much loved peice of classic casual footwear styling, even a fashion statement, when colours are used. Some say... no wardrobe is complete without a pair!. You can browse the whole range in comfort, choose your deck shoe and pay securely online, have it delivered FREE in the UK via Royal Mail 1st class service, which is usually next day delivery to most mainland destinations. Our range offers colour, style & functionality while retaining quality, comfort and well, just making the damn shoe a pleasure to wear.... That's it, thats what we're all about! We hope that you can buy with confidence and enjoy the comfort & endurance of all the products in our range. 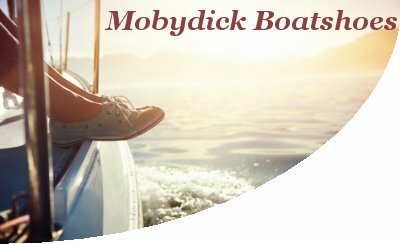 Moby's Womens Riviera - Classic boatshoe look, single colour nubuck but washable at 30 degrees (please read washing instructions). Comfort is enhanced with cushion sole, giving a great soft walk feeling. Pop them in the washing machine on quick 30 degree wash to freshen them up & make 'em sparkle again. Dry them naturally or under a radiator after packing them with paper. Born in 1995, we give the very best value for money offering great quality at a competitive price. Mobydick boat shoes and deck shoes are & always have been manufactured with classic skills and care in Portugal!! 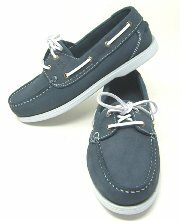 Several of our boatshoes are offered in sizes petite 36 up to walloping big 50 size.